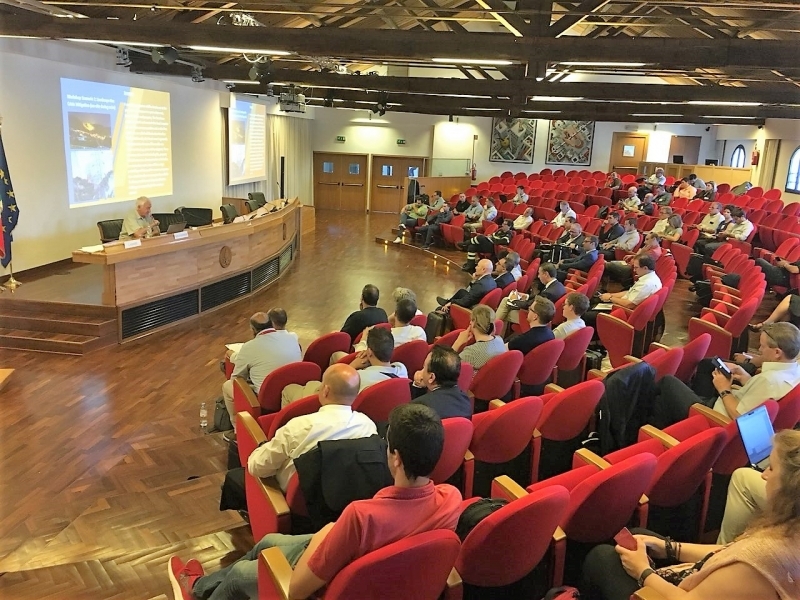 Sergiy Zibtsev, professor of the Forestry Department, participated in the annual report conference of the European FIRE-IN project, held at the National Security Center, Rome, June 25-27, 2018. The FIRE-IN project is funded by the Horizon 2020 program and aims to improve national and European potential in the field of fire suppression and salvation through the development of innovations and promotion of the implementation of modern decisions in the operational practice of firefighters. Fires in natural ecosystems are one of the five areas of the project, which is coordinated by the Global Fire Monitoring Center and involves scientists from NUBiP of Ukraine. During the conference experts and practitioners in firefighting reported on the results of the first year of the project, particularly towards the implementation of modern firefighting technologies. The delegation of NUBiP of Ukraine presented to the participants of the conference the experience of our university in the development and implementation of an innovative fire detection system, safe fire extinguishing in the areas of radioactive contamination and conducting trainings with forest firefighters. What you could do, if you have time: Put the FIRE-IN URL into that online publication: www.fire-in.eu.